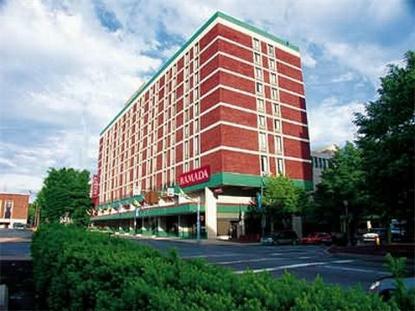 The Hotel Brunswicks convenient location is within walking distance of all of Lancaster Citys major attractions including Central Market, the historic Fulton Opera House and a wide selection of unique restaurants, pubs, galleries and museums. The hotel consists of 9 floors with 221 oversized rooms and an indoor pool open year-round. The traditional motif of the hotel allows for a comfortable and quiet atmosphere, but still within easy access to shops and attractions. All floors are elevator accessible with interior corridors. The on-site restaurant serves a sumptuous breakfast that starts off an exciting day of sightseeing or if you are lucky take in the very popular Jazz Sundy Brunch 10:00am-2:00pm. The adjoining indoor garage (fee applies) and allows for convenient access to your vehicle while enjoying the sights and tastes of Lancaster County. The Amish farmlands, Dutch Wonderland Amusement Park, American Music Theatre, outlet shopping, a plethora of country-style restaurants and many more Lancaster County attractions are all just a short drive from the Hotel Brunswick.